This is a Bulk lot of 24 scarves. 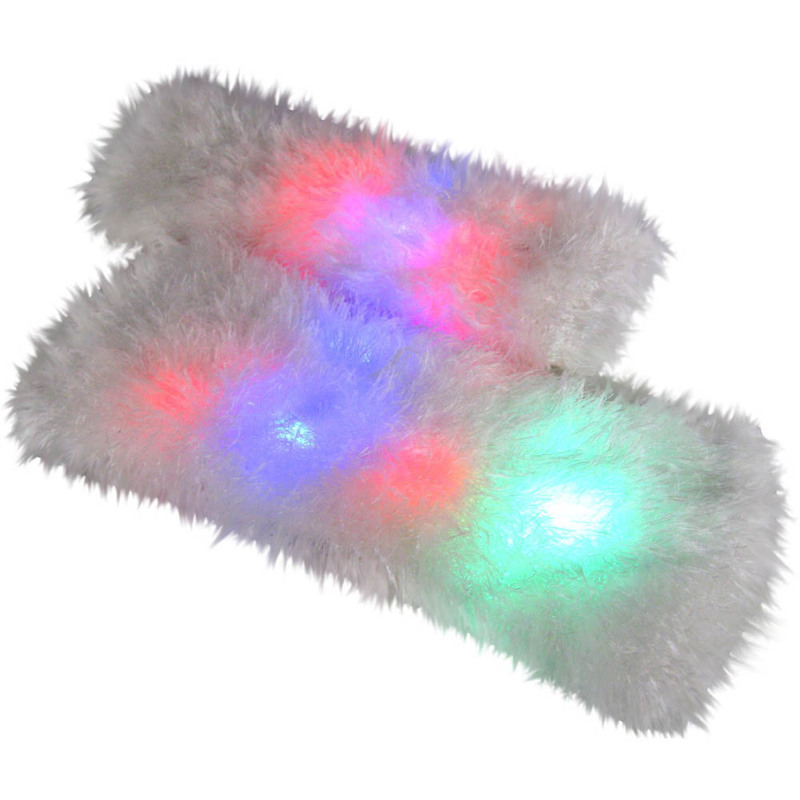 You're sure to stay warm and look fabulous with this super soft flashing scarf! Features red, green, and blue LEDs with 6 different flash modes. This brilliant accessory is 40" long and has 3 AG13 batteries installed and ready to party. 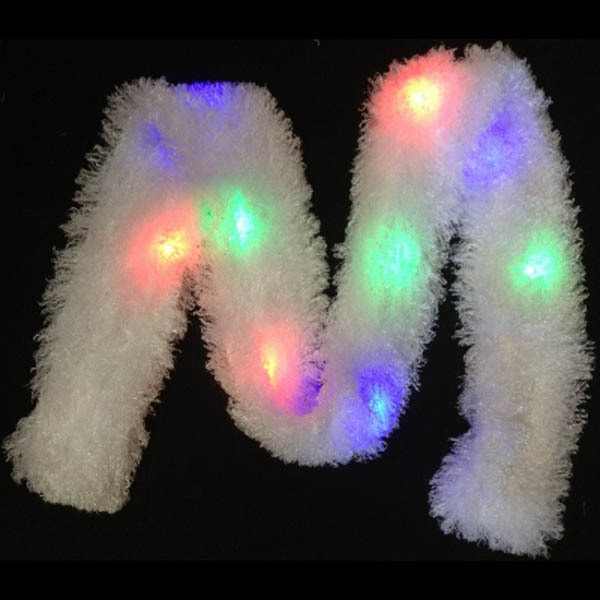 Available colors: White with multi-colored (red, green, blue) LED's.